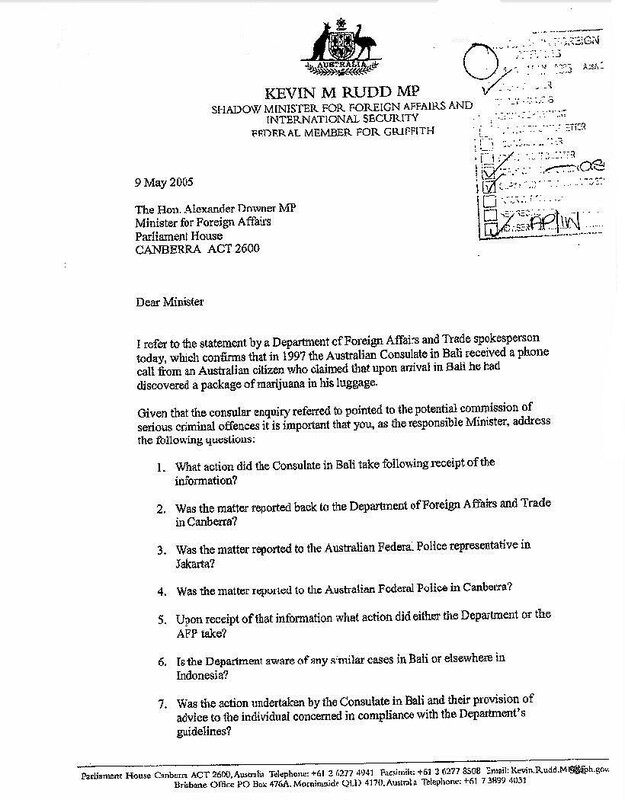 On 9th May 2005, the Shadow Minister for Foreign Affairs and International Security, Kevin Rudd, wrote the following letter to the Minister for Foreign Affairs, Alexander Downer, posing a series of questions on this case. 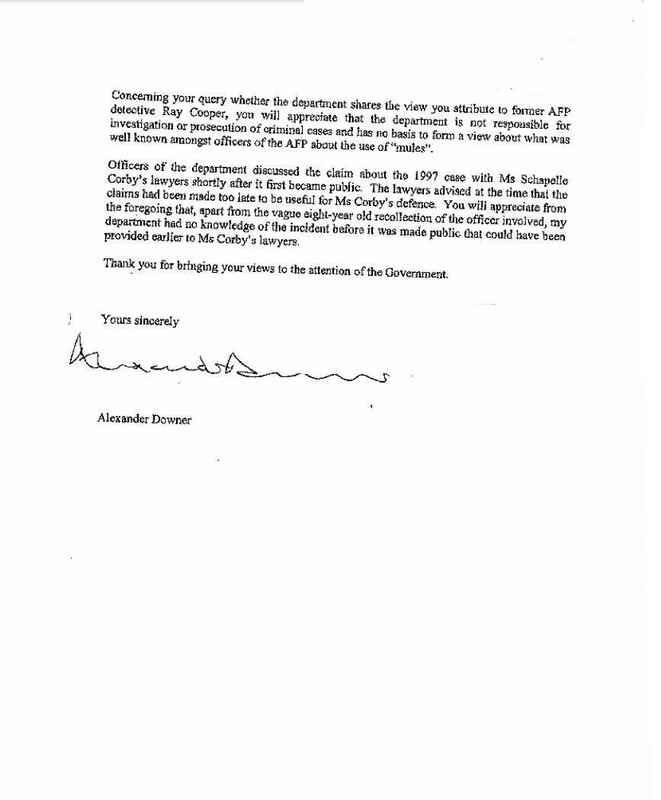 He also questioned Downer directly on the statement made by former AFP Officer, Ray Cooper, who alleged that the AFP was well aware that unwitting passengers were being used as drug mules. 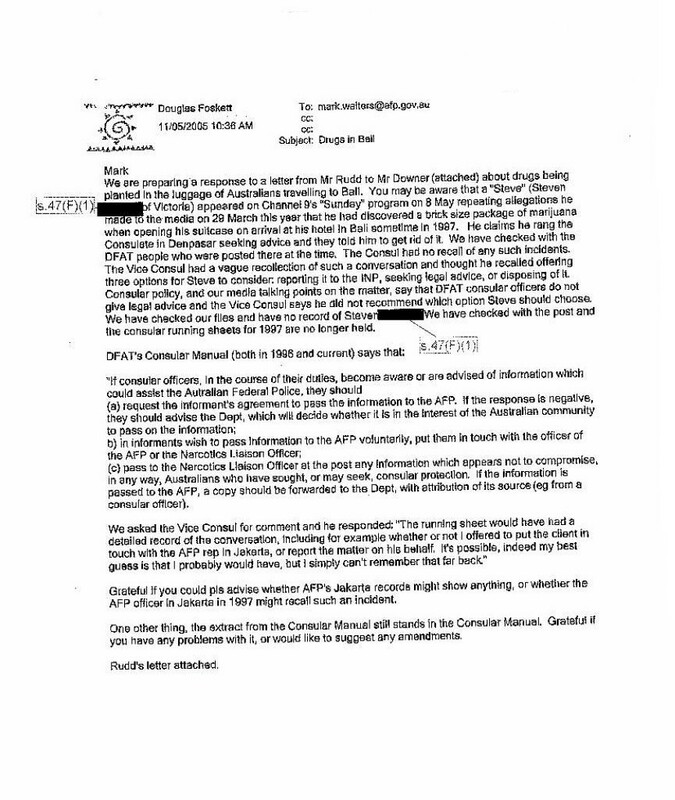 DFAT’s internal enquiries confirmed that the Bali Consulate had been approached for help, and that no action was subsequently taken. 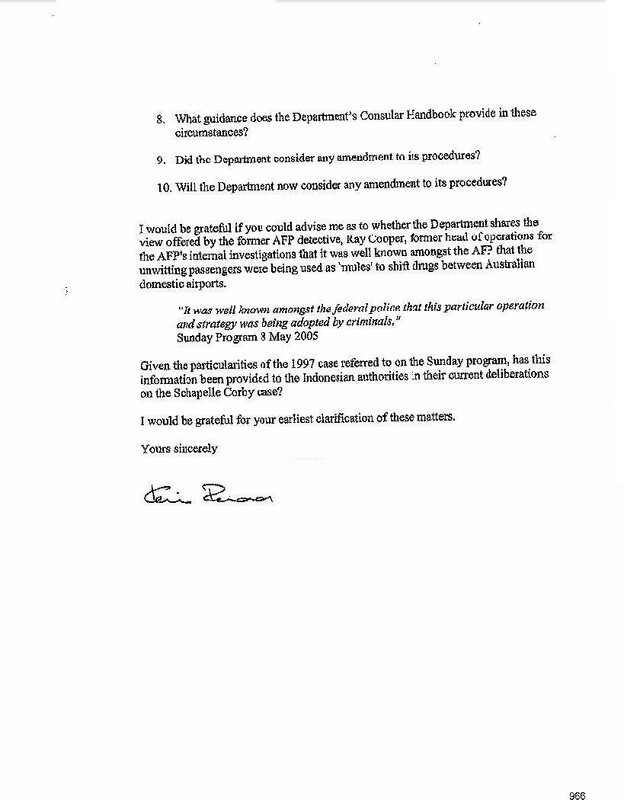 Whilst Graeme Fay admitted that he could not recall his own words, DFAT was apparently anxious to retrospectively fit the official-line to the advice offered. The vivid recollection of the tourist, who stated categorically that he had been told to flush the block of marijuana down the toilet, was replaced with assumption. 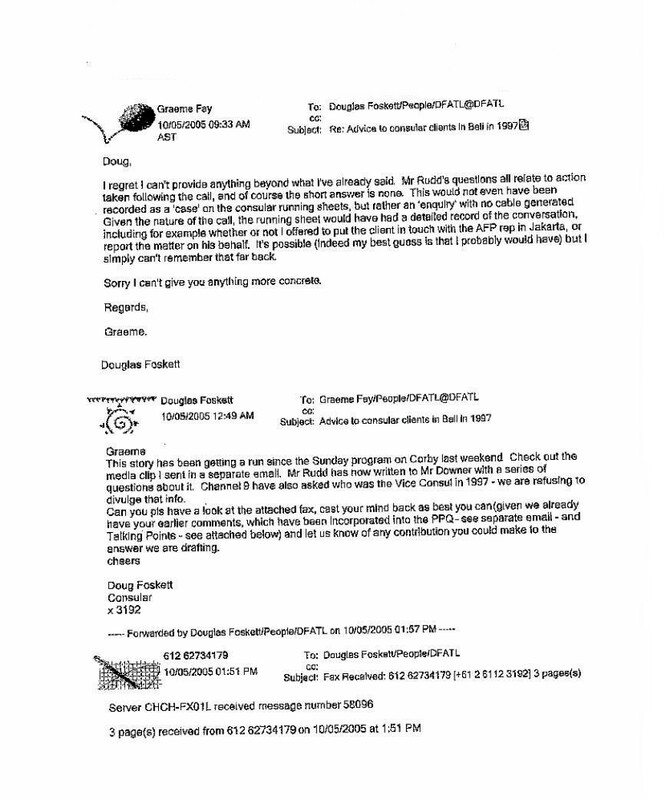 Note also, in the second message on the first page, the refusal to name the Vice Consul, information that is neither classified, nor secret. 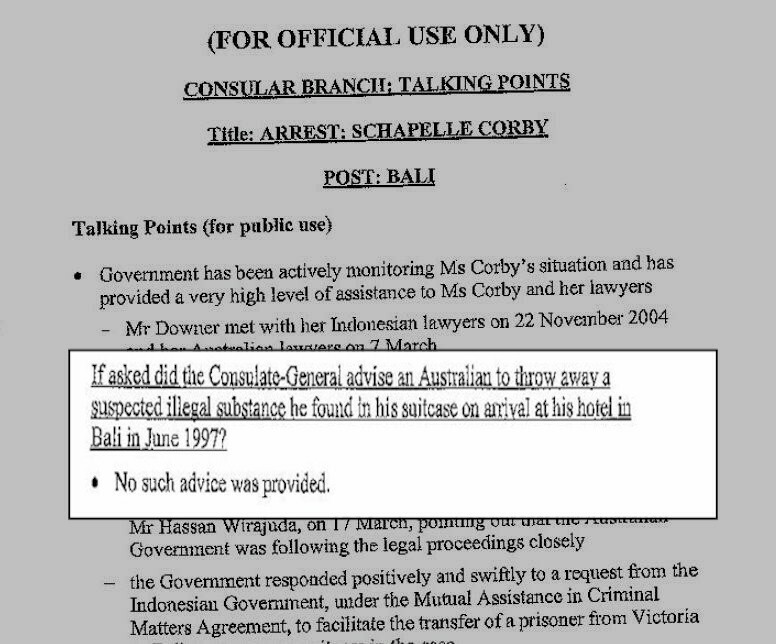 What is clear, however, is that DFAT failed to proactively provide any of this information to Schapelle Corby, or her lawyers, despite its clear and obvious relevance to her case. The information only emerged when the tourists came forward, having heard about her situation through media reports. 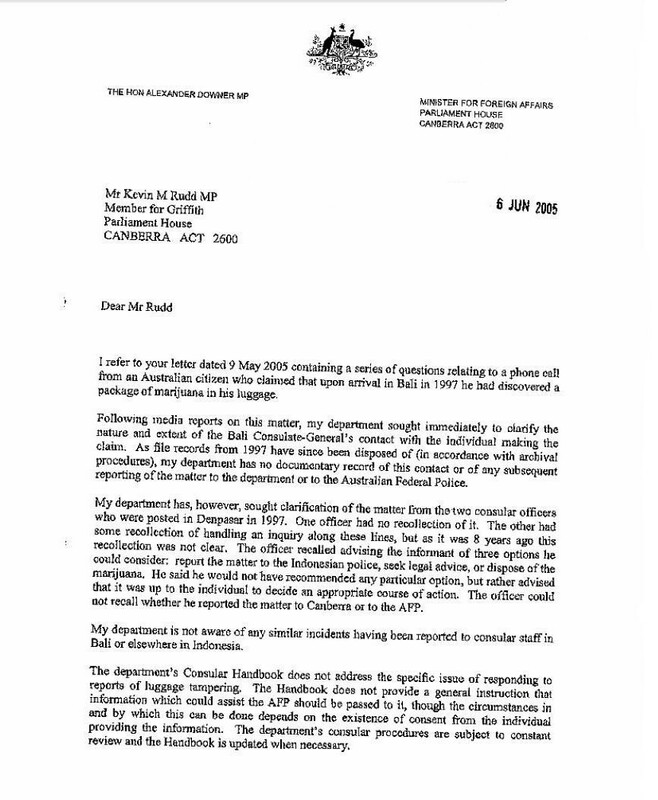 Ray Cooper’s statement continued to be ignored by DFAT and other government departments, even after the leaking of the Kessing reports and the multitude of emerging airport drug syndication cases involving baggage handlers.